Because structures and components can be printed, design restrictions can be relaxed, allowing high complexity and customization. 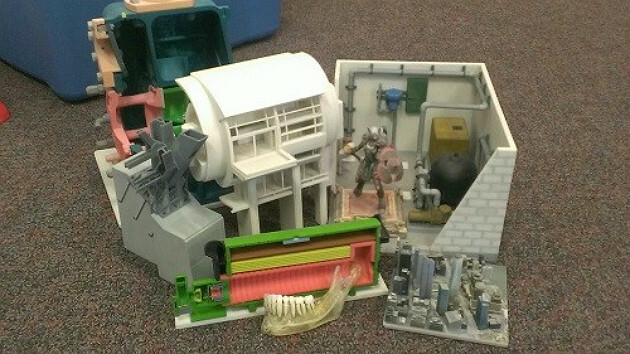 Elaborate internal cavities and complicated assemblies can be built as single objects. Structures can be printed on site, eliminating long and vast supply chains. Material can be used only where it is specifically needed — and it can be locally sourced. Little to no labor is required. Beyond some need to post process, personnel can "set and forget" the printer. The influences can be seen in the interior and exterior of homes and offices. Engineers capitalize on the technology's ability to improve heating and cooling efficiency. Using less material minimizes energy loss, and improved intricate designs maximize air flow. Interior designers and artists are also among the early adopters of AM. They can now design and print elaborate lighting and sculptures in an array of materials that include printed plastics, metals and composites. Even more impressive are AM's influences on building design and construction. 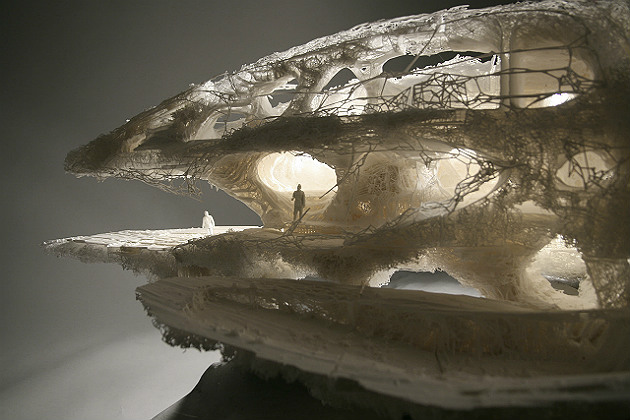 Softkill Designs’ ProtoHouse was made from 30 fibrous nylon pieces that were printed from plastic powder and assembled to form the exotic structure. Its creators argue that the resulting efficiencies in time, material and logistics allow it to compete with traditional construction methods. And while its porous, futuristic appearance may prevent widespread adoption, there are at least two recent construction-specific developments that can feasibly compete. In the U.K., the D Shape Printer is now commercially available. Capable of printing structures that are 6-by-6-by-6 meters, it works using a binder jetting process. Essentially, a binder is infused into layered sand in the desired pattern, creating a marble-like material. The surrounding sand remains as a support until the piece hardens, and it can then be recycled for later use. A Chinese firm, WinSun, has also begun printing houses using a "sand, concrete and glass fiber ink" made from industrial construction waste. The firm's executive argues the resulting structure is lighter, yet five times stronger, and it can be printed either on site or assembled from walls printed at the factory. Either way, the hollow walls have beam columns printed with steel reinforcement bars inside, simplifying construction; workers then join together and pour concrete into the walls. Although it recently erected 10 buildings in a day at a cost of less than $5,000 each, concerns exist about the material's composition. The use of glass fibers may pose a safety concern, so its suitability for long-term housing is questionable. Another project uses solar energy to laser sinter sand to create structures. Beyond the environmental friendliness of the technology, the ability to provide low-cost housing in developing countries with limited energy sources is intriguing. Even NASA sees the potential of printing what one needs when and where it is needed — printing tools and housing in space or other planets. 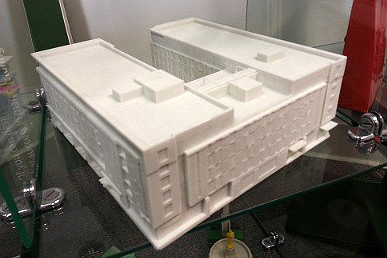 Closer to home, architects and developers regularly use 3-D-printed models to showcase their designs. They can be printed directly from CAD or BIM files and assemblies and include cut-aways to show interiors. Full-color models typically range in sizes from under 1-15 inches (or larger with assembly) in composite, plastic or metal. Pricing depends on size, volume, material and quantity. And unlike handmade models, printing can be completed in a day. Renee Eaton is owner and CEO of RapidMade, a 3-D printing, engineering and manufacturing firm. She has more than 25 years of experience in manufacturing operations and university teaching. Renee previously worked for almost two decades at Nabisco where she held various management roles, leading significant changes in the business. During this time, she earned her MBA from the University of Pittsburgh. After working in industry, Renee taught at the University of Portland's Pamplin Business School for eight years before launching RapidMade.